The summer after my freshman year I found myself working as a substitute mail carrier in one of the tony North Shore suburbs outside Chicago. The post office was an intriguing place (just see short stories by Eudora Welty and Herman Melville). I discovered, after a steep learning curve, that I could sort and deliver the mail on my route in less than the eight hours allotted for the job, but I made the mistake of returning to the post office early only once. I received a very colorful lecture from the chief clerk, who dragged me down to the employee lunchroom in the basement and explained how poorly my colleagues would regard me if I dared show up again before 3:15 p.m., when I was scheduled to punch out. As a result, I hid in the only air-conditioned public building in town: the library. With an hour or two to spare each afternoon, I decided to improve myself by reading the Greatest Novel Ever Written. During my six weeks with Ulysses, I had a number of observations. First, I swooned over many of the most gorgeous sentences I’d ever encountered. Second, unlike other works by Joyce that I’d adored, like Portrait of the Artist as a Young Man or “The Dead” in Dubliners, Ulysses didn’t seem to be a novel in the narrow way I thought of that form, that is, as a story which would carry me along because of my emotional connection with one or more characters. I had to work at Ulysses, so much so that it seemed fitting that the taxpayers of the United States were paying me $2.52 an hour while I read it. 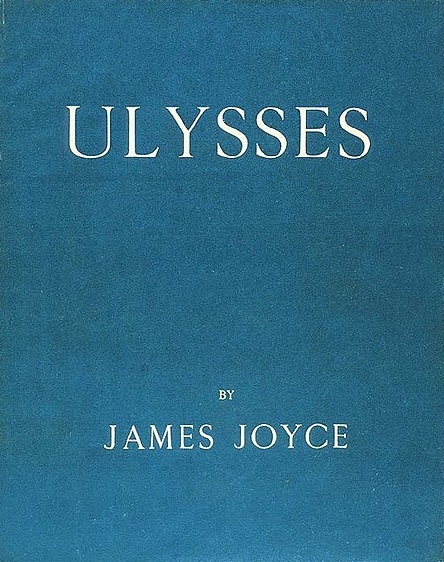 Finally, it was startling but instructive that in an affluent community with a sky-high education level, the library’s lone copy of Ulysses was on the shelf every time I went to find it. I spent many years after that wondering whether Joyce’s book could really be the greatest novel ever written if no one else in town wanted to read it.